This is a wonderful story of a couple celebrating their anniversary of over 30 years. 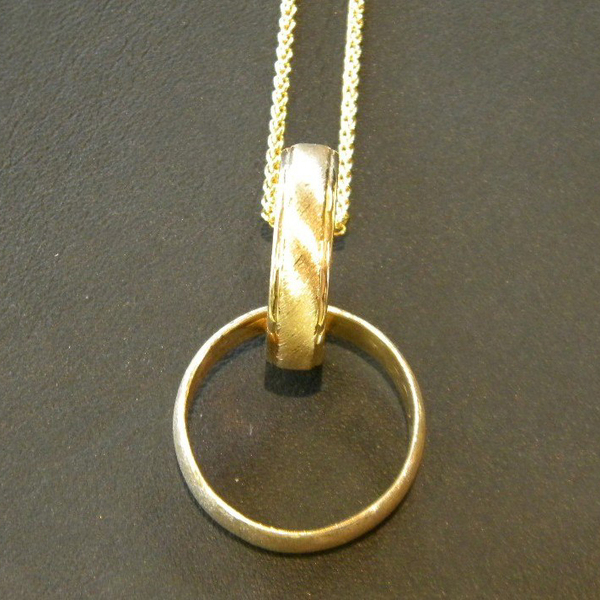 Both their original wedding bands are entwined together making a pendant that slides on an adjustable chain. 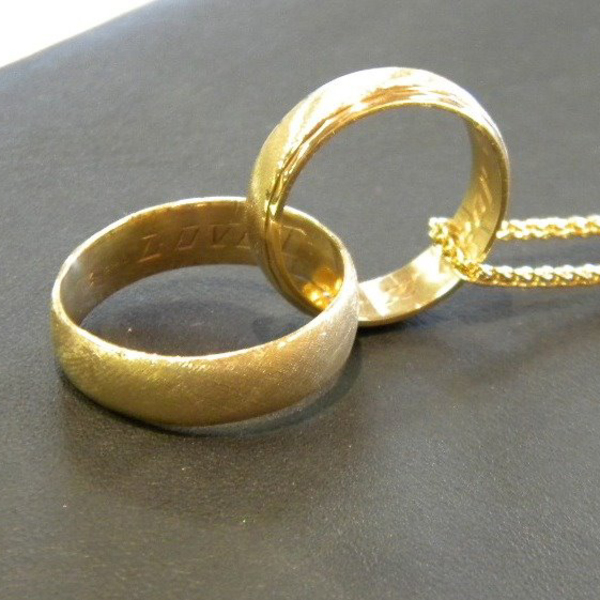 You can still see the engraving! Jim soldered ring closed and re-brushed them. They look brand new! Love that the engraving is still there! Please remember, we are here for you with our years of experience, ready to create a new memory!